Carey Young (Lecturer and current Slade Careers Liaison Tutor) explains how a programme of sessions has been designed using her own industry experience, research and student feedback. The Slade runs a comprehensive, bespoke careers programme for all final year students, including undergraduates, postgraduates and research students, which is industry-led and skills-based. Carey Young redesigned the programme three years ago to address a need for bespoke non-general careers advice and guidance and students’ desire to know more about how to work as a professional fine artist after graduation, within a unique, and highly competitive sector. The programme aims to be encouraging and to support the students into careers as fine artists. Informed by her ongoing experience as a professional fine artist with an international career, and using leavers’ data and recent graduate stories, the programme has developed into a thorough overview of practical and need-to-know careers guidance for students who enter the university aiming high. Building upon its previous versions, and with support and input from UCL Careers, the programme has been expanded from three sessions to five, and is now twelve and a half hours in total, delivered predominately by Carey. Sessions are also supplemented with custom-made handouts for students to use before and after graduation. The information is available for all on the Moodle online platform and is updated annually. Within the programme, students explore varied topics around professional practice issues for fine artists, including talks from visitors such as curators, art critics and Slade alumni, plus first-hand experiences such as a visit to a local artist-in-residence scheme. participants heard this year from two current students about their experience working as assistants for two of the world’s most-renowned artists. Students greatly value the exposure to practical examples of professional artistic life, which are rarely covered in detail elsewhere. Financial issues are also considered, with specific sessions looking at funding, grants, project budgeting and fees for artists, as well as answering questions around selling and pricing artistic work. These give a valuable insight into specialist topics where comprehensive knowledge is not freely available. Self-employment information is also part of the programme, including accounting, tax and intellectual property, as well as employment information, since many Slade graduates go on to have ‘portfolio careers’ with different income streams which support their artistic work. 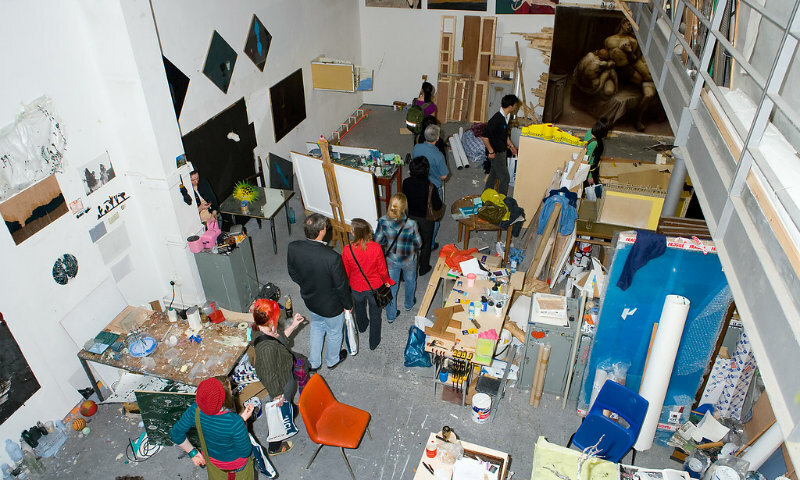 The series of events were also brought forward earlier in the year so as to avoid pressures as students work towards the Slade’s annual degree show exhibitions, thereby giving students more opportunity to attend. Although optional, the programme has seen significantly high engagement and will become mandatory in the next academic year, and opportunities for more one-on-one advice will be included. Undergraduate student, Jake Elwes said: "We were very privileged to have the careers sessions provided by UCL and the Slade. It is a rare opportunity and one that often seems to be lacking or overlooked in formal fine art education. I know many graduates and more experienced artists who regret not having the same advice before leaving art school." We were very privileged to have the careers sessions provided by UCL and the Slade. It is a rare opportunity and one that often seems to be lacking or overlooked in formal fine art education. I know many graduates and more experienced artists who regret not having the same advice before leaving art school." Sign up to the monthly UCL education e-newsletter to get the latest teaching news, events & resources.